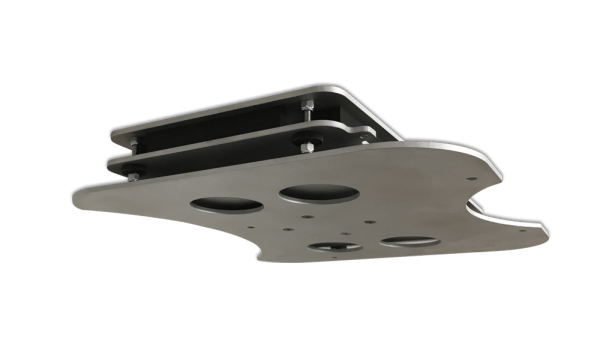 The Adjustable Ceiling Mount has an extremely low installation profile which allows the projector to be mounted close to the ceiling which minimise lost height and aesthetic impact. The flexible alignment adjustment makes it straightforward to align the DT-ACM with the projector screen. Four corner adjustment allows correction for pitch and yaw and locking rotation adjustment is also provided. The vibration damping within the adjustable ceiling mount is provided by a thick layer of open cell foam. This layer helps to reduce the visible impact of vibration caused by deep bass notes within the cinema.